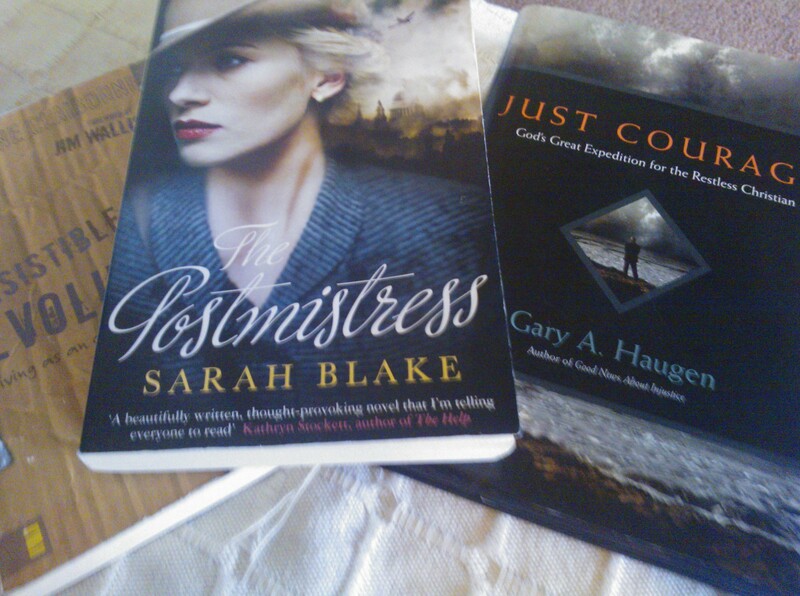 I’m reading a novel at the moment – The Postmistress by Sarah Blake. It is a beautiful, thought-provoking, gripping read. And it is really speaking to me. The Postmistress is set during World War 2. The main character is brave American journalist, Frankie Bard. She is desperate to get the truth about the horrors of war in Europe to her country and will do anything to broadcast as much as she can about people’s stories. The boy who found his home bombed and his mother gone. The soldiers huddling against the cold in the Antiaircraft gunnery station. The Jewish man hauled off a train in Belgium and shot by a Nazi as he stood next to her. The boy who lost his mother in a crowded station full of German soldiers. For us in the West, these wartime tales are horrific and important, but they are stories of the past. We read them and hear them and we say ‘we must never let this happen again.’ In November each year we chant ‘we remember them’. But, tragically, these stories of war and displacement and oppression are some people’s reality today, in the present. Syria is a topical example, but there are other places too, where conflict and violence rage on. They seem in some places like problems that can never be fixed. And we do need the truth about them, and we do need to pay attention, and we do need to do something, however small. Frankie, the character in my story, she shows me something. She shows me that whatever we do well, whatever our personality, we need to spend it to help others, share truth, stand up for what’s right. Whether that is writing or art or music or maths. Or just being a friendly face. Let’s not choose a comfortable half life over a gritty, demanding full life. We need to be committed to compassion, because for many of us it sometimes feels easier just to keep our heads down or look the other way. -How can I start from where I am now? – And that is why I am writing this, because it’s some small thing I can do. But for all of us, it is not hard to google a charity, click a button and support it financially. Of course, there are plenty of people around me here too, who would appreciate a phonecall, an invitation, an offer to babysit, or some other gesture of kindness. These actions do then raise more questions – why am I doing this? Is it to make myself feel better about sitting down with a cup of tea? Is it because I want to feel like a ‘good’ person’? I suppose that whatever the motivation, though, the gestures would be significant to those they were done for. And perhaps they can help me to develop a habit of compassion rather than a habit of apathy. So, on balance, I think it best not to overanalyse but just to act, and pray that my attempts at love for others, however misguided or pitiful, will be received well, make a difference, and cultivate genuine empathy and grace in me. -Am I prepared for a different way of life, should one become necessary? This question is harder to answer, because it is hypothetical, and none of us really know how we will react to a situation unless we are in it. I have heard many Christian teachers talk about ‘holding things with an open hand’, and that is what I want to try to do. Enjoy the lovely things and experiences that come my way and thank God for them, but also be able to let them go. I think the only way to achieve this is to have something else that you feel your life depends upon, a greater security than material wealth. There are plenty of Bible verses that tell us in one way or another that all we need is God. It’s just that we have to make a conscious effort each day to think like that. It is a hard topic though. The best books I have read on the challenge of how to live this kind of compassionate life (other than the Bible) are Just Courage by Gary A. Haugen, which I have mentioned before, and The Irresistable Revolution by Shaine Claibourne.